Even as Application stores are getting into prominence, Applications are rapidly getting commoditized and Applications will need to morph into Integrated services for serving the consumer digital space in future. Application stores has also brought about the easy way in which applications are consumed (download and use with no knowledge of mobile functionality). While, 2bn apps downloads were recorded in 2009, various surveys put the apps downloads in near future at 6.5bn – 21bn. That by itself is a wide variation, and it only goes to prove that whichever way you see it applications will be a critical growth denominator for wireless and smartphone growth. However, another trend that augments the App story is the development of integrated services for the “digital living”. Application stores are poised to evolve into a whole new modality, as services in the consumer communication space morph into integrated services. Integrated services are those that work on any delivery medium that the consumer may be using: cable, DSL, wireless, wireline or satellite rather than being tied by transaction to one delivery medium. This age is coming and will require a different kind of application and a different kind of application store to service it. Integrated services applications offered through an application store will be downloadable from any device, and depending on the networks to which a consumer has access, will work comfortably over any network and the corresponding device. As a result, applications will need to be certified by not only the device vendor, but the carriers over whose networks these applications will be expected to work and application stores will need to interact with more than wireless devices. As services become ever more integrated, application stores will increasingly be supported by conventional carriers and operators. The bottom line is that applications have become as commoditized as downloadable music. Increasingly, consumers will worry less about exactly where the application runs and more about what the application does. They will expect that the application will be available wherever they are and regardless of the device they are using to access it. An year back, Google announced its plans to work on a device with the intent to provide the “pure” pristine Android experience to users. That was Nexus One. The pure, pristine bit is mainly due to the fact that other manufacturers have a way of tinkering with Android to build in their own levels of differentiation into the product which is very understandable (Click here for more details). Inspite of the initial failure of Nexus One. Google’s intent clearly remains unchanged. Google yesterday unveiled the Samsung manufactured Google S. Blogs, Articles, Reports and You Tube is full of articles reporting the Nexus S. The Nexus S is positioned as a pure Google smartphone. 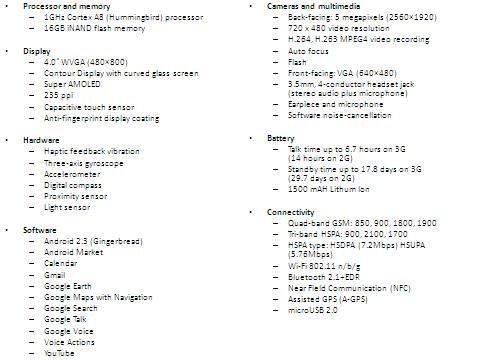 For everything else, the physical specs are close to Samsung Galaxy S, but this is the flagship Android 2.3 (Gingerbread). The Nexus S supports NFC signaling Google’s move into Contactless solutions (This would be the big Mobile Push into Payment solutions). However, in my opinion, the Nexus S in terms of device is extremely underwhelming. This may be because of the multiple version releases of the Android coupled with the Android army effect. The changes and developments with every other Android becomes that much more “incremental” as against an iPhone which because of its 1 device per year approach has been able to bring forth “innovations” which are far more discontinuous and have the “Ah” effect. 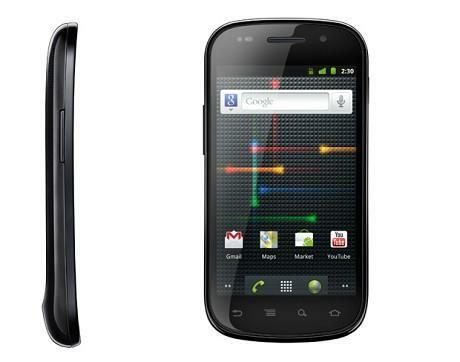 Coming back to Google Nexus S, the look is fairly a cross between every other Samsung Android and the Nexus One. If there was one lesson that Gogle could have taken from the Milestone success, it was the side sliding keypads, which serve as a differentiator if not anything much beyond that. Gingerbread may be fast, very fast, but Google could possibly worked on the 1GHz Microprocessor and extended a bit on that. One would ideally have expected a Dual Core Tegra microprocessor, but Tegra’s release is still a month beyond. But I would still expect a 1.4GHz device. The other small addition that would have made a significant lot of difference to the Nexus S would have been a Radio and a TV out. 2 Cameras are passé and a 5MP Camera is hardly anything to write home about. One important miss in this device is the lack of 4G. With HTC EVO 4G establishing the benchmark, the minimum expectation with a Nexus S would have been a 4G! The looks are also very commonplace and plastic. Not impressed there. Sealing the list is a Internal 16GB memory capacity as against a T-Flash Card slot to allow the user to load his kind and requirements. Bottomline: Not to make a Mistake, the Google Nexus S is a great device by itself with an impressive feature set coupled with the Gingerbread and NFC. But that aint enough! The way it looks, Samsung did a pretty smart job of cloning and crossing their existing products with the Google Nexus S. There isn’t anything beyond here. A couple of videos detailing the product story of Nexus S (Not very convincing) and the Nexus S in its glory are featured here. In an earlier post, i had discussed, how a $6 billion tag for Groupon appears to be a stretch in Valuation by fair and logical means. However, this is Google we are speaking about. Is their something about Groupon and this deal that we are missing, which is what Google is paying do much for. This post is about Google’s perspectives on the deal. While Google Adwords has been the cornerstone for building the internet business model, Adwords has not particularly been successful for local advertisers.Treating users and consumers with targeted ads based on their personal and social profiles has been successful on a large global scale, but Adwords has tasted only limited success with local advertisers. That has been the case with Google who had earlier made an unsuccessful attempt at acquiring Yelp. Yelp is a commerce portal which does the rating of local retailers in an area. Thats just one point made. Google will try and leverage Groupon’s strengths in local advertising in the US and Canada geographies. This would thus be a pre-emptive move against competition expected from Amazon (Is rumoured to be acquiring Living Social) and Facebook (Rumoured to be launching its own Local Ads product). But isn’t $6 billion an overkill for a 35 million user base (That Groupon has)? 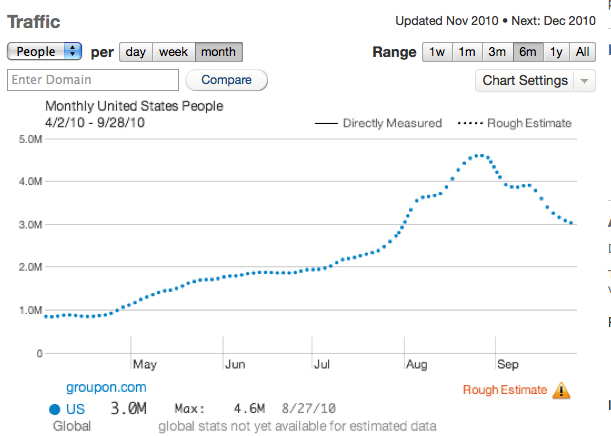 Site traffic at Groupon indicates the month traffic to be around 10-15% of the 35 million number. Given below is a very simplified break even analysis for Google’s investment on Groupon basis number of years and incremental subscriptions. The derivative is the revenue generated per user. Presently Groupon generates $500 million for 35 million subscriptions which translates to $15 revenue per user. Assuming Google has the ability to ramp up the user base of Groupon to 100 millions in a short period Google will have to generate 3X of present revenue for a short term realization of break even and 2X multiple of revenue for short term realization of break even. In the scenario, where the user base does not increase and is held constant at 35 million, Google will have to generate 8X in short term and 6X in long term for a break even. The median value is 3X-7X increment in revenue per user. Will Google be able to pull off the ambit? Considering that Google will have competition from Amazon and Facebook sooner in this space, it is going to be difficult for Google to monetize as much efficiently as its scale in search would allow it to do so.Google would obviously bring synergies with its other shopping based competencies to the table and would also be factoring a scale increase in user base of synergies. Even with all the factors considered, Google seems to be over stretching itself on the Groupon Bid. With monetization, purchase and payments building steam, is this Google under a Web 2.0 Bubble pressure or does Google know something that we dont? Google could for instance create its own local ads and commerce portal and blow it to sacle in an year at a much lesser tag. The desperation price of $6 billion only feeds the speculation, that Google may have been paranoid about the local ads opportunity and the fact that many of its worthy competitors are also looking at this space. If that be true then this is nothing but a Web 2.0 bubble that Google is feeding. Google has offered $6 billion to acquire Groupon, a 2 year old e-commerce portal. Opinions around this effort is vastly divided. 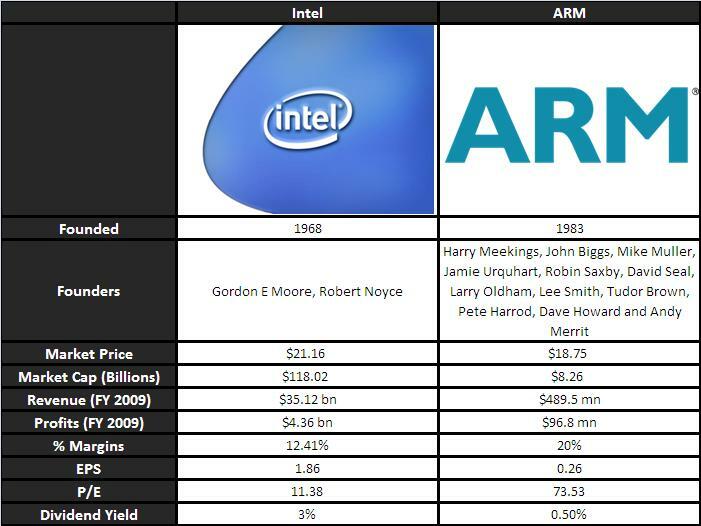 The exorbitant $6 billion cost of acquisition would make this the second most expensive sale in history, only exceeded by sale of Cerent to Cisco in 1999 for $7billion in the thick of the Dot Com bubble. Google will be acquiring Groupon at almost double the price that it paid for DoubleClick. Groupon is expected to report $500 revenue for the year.Groupon was last evaluated at $1.35 billion 7 months back and the $6 billion price tag implies a 500% increase for Groupon valuation. 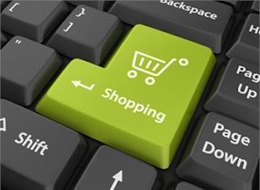 Groupon is a e-commerce portal which works on direct discount deals to consumers by local advertisers through eMail. It has about 35 million subscribers who receive email based ads and discount offers from local advertisers and uses the user base as a sales channel to generate bulk order deals. To that extent, the 35 million subscribers are also the distribution nodes for Groupon. With $500 million revenues in 2 years, the distribution and discount model is fairly working for Groupon. However, given the fast and brilliant developments in the Web 2.0 domain, one is tempted to think if e-mail is really the best way to generate leads and revenue and the sustainability of the business. Ironically, Groupon’s viral design (Subscribers getting bulk buying from their own social networks) is more closer to the Facebook P2P references and likes. To that extent, Groupon has a threat from Facebook which is also developing a product which will help merchants present discounts and offers to its 600 million users. If Facebook were to launch that service today, subscription could quickly ramp up to 35 million! Amazon is also looking to buy out Living Social. Living Social is a clone of Groupon in terms of e-commerce business models. Thus Groupon’s only barrier to entry for other competition is only its first mover advantage which translates into critical mass. Facebook or Amazon could easily surmount this entry barrier with their huge subscription bases. Given these facts, it certainly looks that Google is over-enthusiastic and overpaying for Groupon. Unless Google is seeing some other synergistic elements that we are blind about. 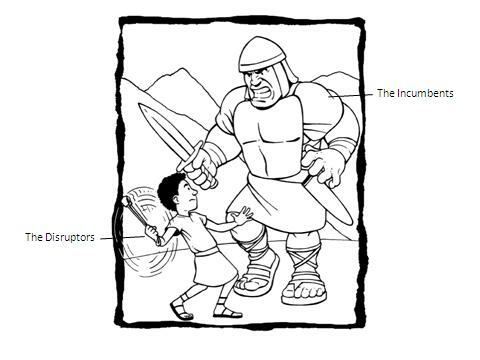 Part II: Google’s (possible) motives behind Groupon acquisition.